A visit to the Biesbosch Museum was part of our boat trip. 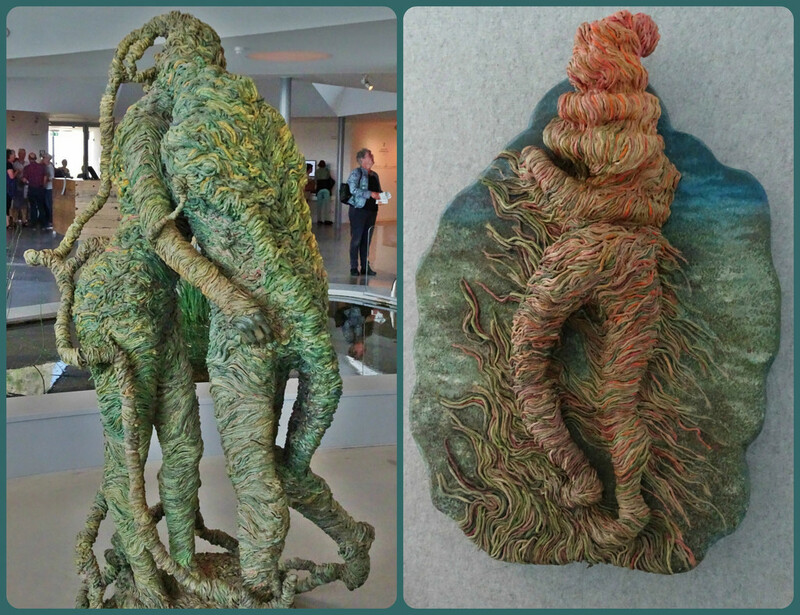 These figures, made of rope, drew my attention. Erg appart en interressant . Mooie foto`s ook. Incredibly unique art form. Your photos of them are spectacular. They have lots of texture and some interesting color too. So creative and a beautiful and subtle use of the muted combination of colours . Very tactile and beautiful !